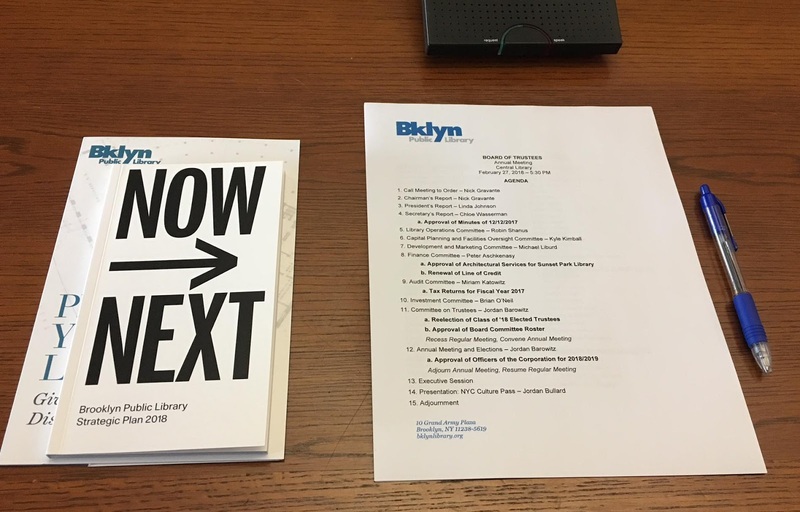 Do you know about the “Major” changes they are making to our libraries, perhaps particularly as exemplified by the changes in the works at Brooklyn’s last central destination the library, known up to this point in time as the Grand Army Plaza (“GAP”) Library? The changes being made are so extensive that everything is getting renamed. The library won’t be called a “library” anymore, but an “Information Center.” Inside, all the rooms will be renamed after a hedge funder acclaimed for creating value through corporate restructurings who may yet run again successfully for president. But first, speaking of holding elected office, did you know that Brooklyn Public Library is making a big thing about its announcement via BPL president Linda Johnson that the GAP Library is being renamed after Major R. Owens a librarian who went on to become a prominent, revered black congressman representing Brooklyn. 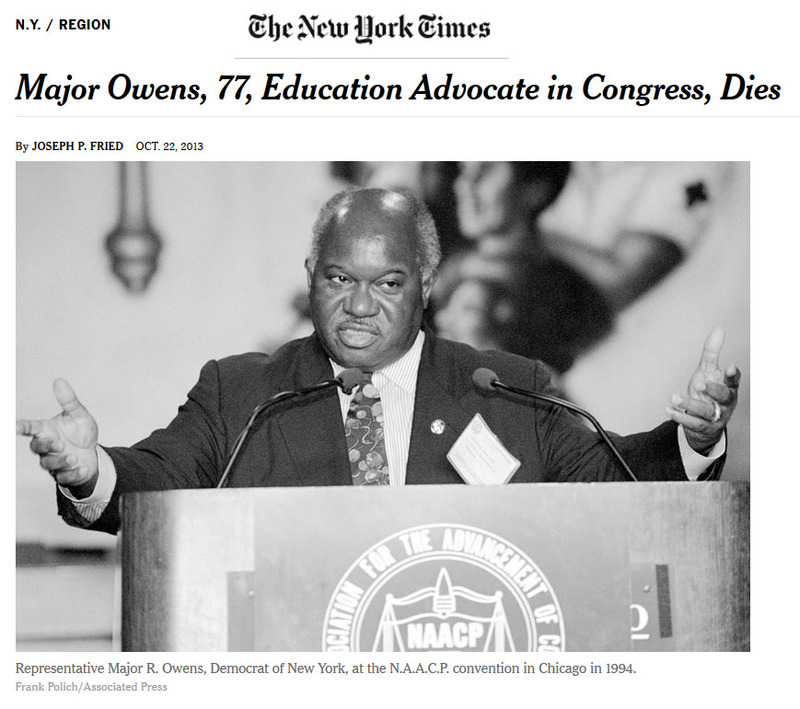 Major Owens died in 2013. That was that the year that the BPL announced that it was starting to sell shrink and sacrifice libraries for real estate deals, “the most valuable ones first,” like the Pacific Street Library next to Forest City Ratner’s Atlantic Yards and Brooklyn’s second-biggest library the central destination Brooklyn Height Library in Downtown Brooklyn also adjacent to Forest City Ratner's property. 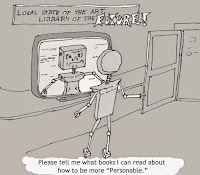 Major R. Owens once dreamed that an alien spaceship had landed and that the creature that clambered out told the first person it encountered, “Take me to your librarian.” When the alien was brought to the library [“information center”? 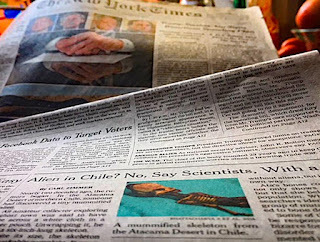 ], his human guide pointed up and said, “look up in the sky, it’s a librarian, it’s a robot, it’s a . . .
Why should a dream about librarian-seeking aliens and robots commence a New York Times article about the how libraries are changing? It may seem far out, but good explanations will come to those who wait. First, let’s talk about the rest of the visionary renaming of the spaces within the library. Lest the Major Owens renaming seem too populist or bookish, other spaces in the library will be renamed for achievements that more customarily get recognition in our society. The 42nd Street Library has now been renamed by the NYPL the “Stephen A. Schwarzman Building” (or the sassy sounding “SASB” for short). Mr. Schwarzman, still very much alive, is for anyone who doesn’t know, the head of the Blackstone Group and now the first Corporate CEO to pull in an annual income exceeding $1 billion. Naming the “building” after Mr. Schwarzman is not only good for the burnishment of his brand, it inspires democracy by helping to encourage everyone else to follow in his footsteps in being alert for ways to achieve similar wealth . . . And so that they too may have their exploits chronicled by the likes of such famous authors as Jane Mayer. 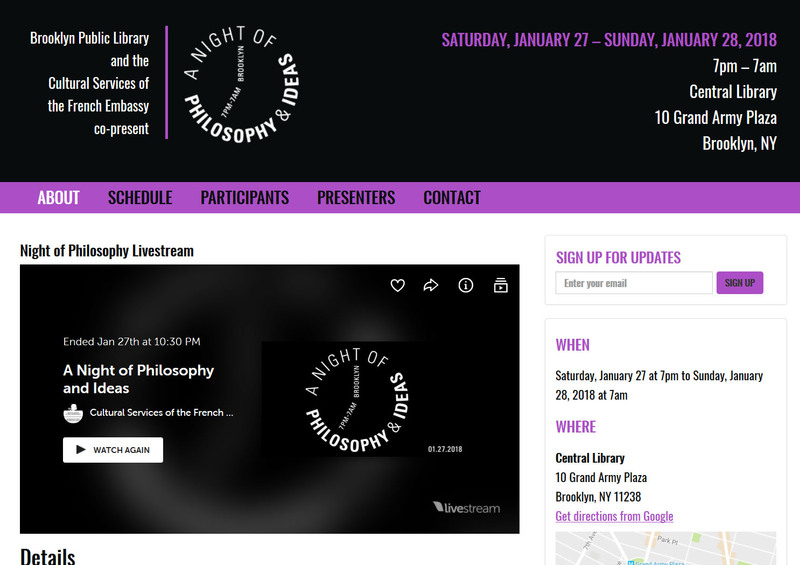 The sassy SASB is the central jewel of the NYPL system. The renaming of the spaces at the BPL’s central jewel, spaces at the GAP Library will be in a similar vein and may help another recognized financial wizard to burnish his brand, which means perhaps also helping him politically in the future. The name change will also help the BPL get across what it has to offer and the message it intends to send to its clients. Of course, makerspaces are flexible spaces so they can be a lot of things, and they don’t have to be for the youth. They are also intended for adults. Going back a few years, the BPL has already converted much of its space at the future Major R. Owens Information Center (MROIC “pronounce it `More-ick’,” suggests BPL PR officer David Woloch) into conference rooms that can be used by “makers” starting new businesses or needing “gateways to technological tinkering” for their work. Ms. Johnson explained that affixing the Romney name to these spaces to highlight the maker/taker dichotomy would help her and the library in its mission a great deal. 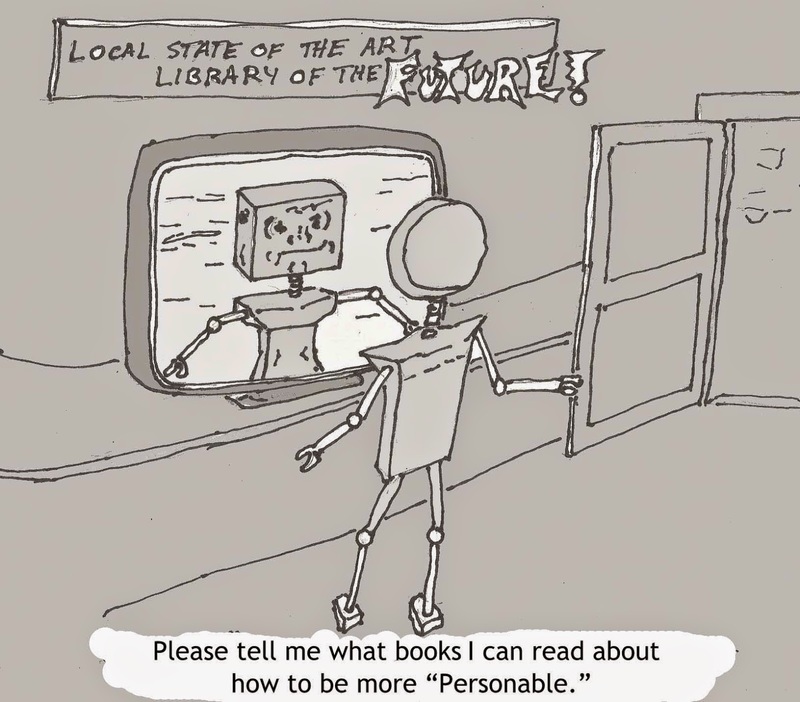 For instance, Johnson said that people often reacted negatively when articles like the one in the Times wrote sentences like “among many other things, the plan for the central library calls for replacing two levels of old-fashioned `stacks,’” Ms. Johnson said that if she could just more succinctly say they were doing away with all the “taker” spaces in the library she would get a better reaction. Henceforth all the space in the library not devoted to the Romney Romping Rooms will be designated and described as “taker” spaces. Similarly, while doing a presentation for Open House New York the other day, architect Francine Houben, working for the NYPL to remove books from both the 42nd Street Central SASB library and the Mid-Manhattan Library (in a consolidating shrinkage) got flack for saying that “stacks” that could not be easily removed from the libraries and done away with at the whim of the trustees were “problematic.” Not surprisingly, the NYPL, in sync with the BPL and Queens Library, will also be dividing up their spaces into Romping Room spaces and “taker” spaces. Much of the former GAP Library will be closed for many years to create the Romney Romping Rooms, but the BPL already has plans to ensure that they are a success when they open. The BPL will open them with a special overnight event. 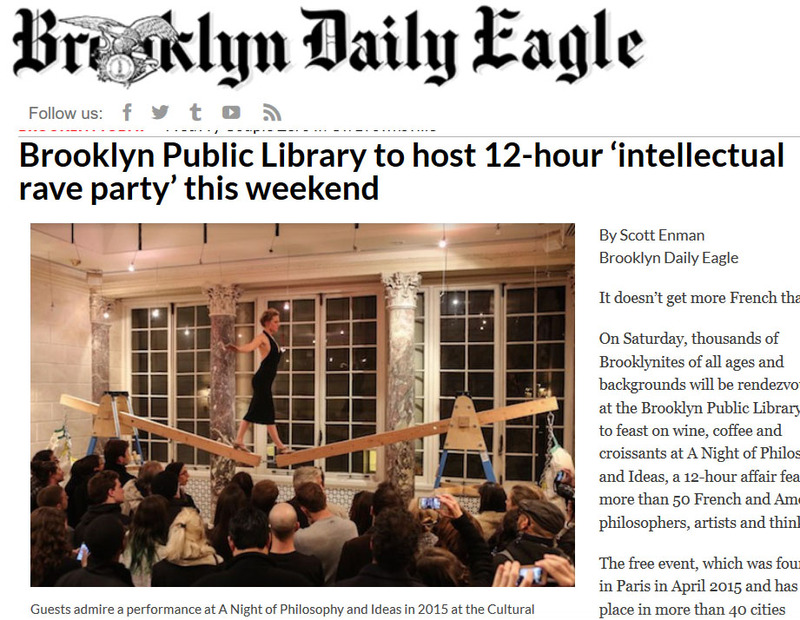 The BPL has already had several all night 7:00 PM to 7:00 AM nights of “Philosophy and Ideas.” Repeating this wonderful idea, the “makers” of Brooklyn will be invited to fill the Romney Romping Rooms for an all night inauguration. • The ability to pay is now a major criterion determining provision of high-quality information. • Provision is made on the basis of private rather than public supply. • Market criteria are the primary factors in deciding what is made available. • Competition for funding (as opposed to a steady tax or tuition basis) is coming to be regarded as the appropriate mechanism for organizing the economics of librarianship. • Commodification of information is the norm. • Private information vs. public is favored. Makers coming to spend the night to discuss “information capitalism” will be invited to bring and change into their pajamas. 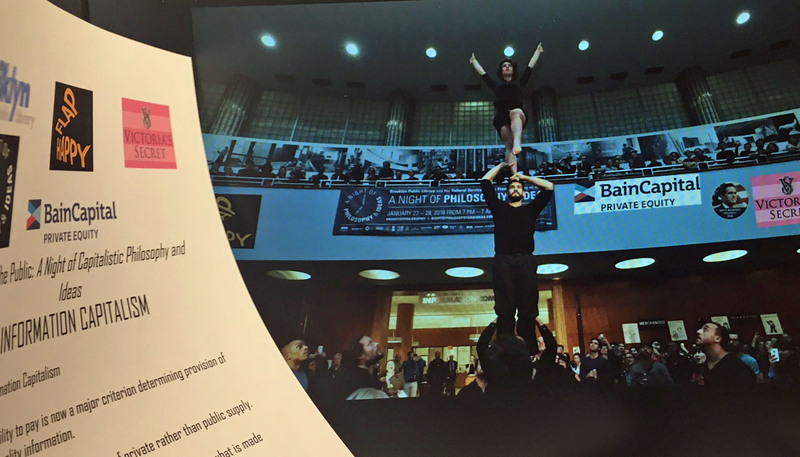 “We think this will help us corral a lot more young people,” says Woloch, “something that’s very important to us.” In addition, following its new principles the BPL now holds no events without partnering with private sector partners. In this case it will be partnering with Victoria's Secret and Flap Happy, another pajama manufacturer. 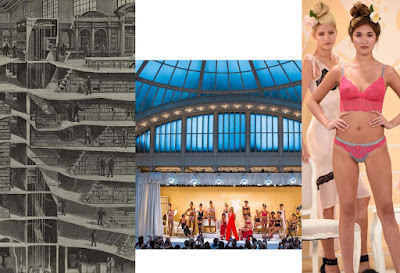 Models from Victoria's Secret will stroll through the Romping Rooms modeling night lingerie, “which should certainly help with our young male attendance” says Woloch. The BPL is not breaking any new ground here: Britney Spears unveiled her new lingerie collection in the Celeste Bartos Forum of the NYPL’s sassy SASB in 2014. Flap Happy will be donating free pajamas for those who don’t bring their own. What kind? Rompers with feet of course. 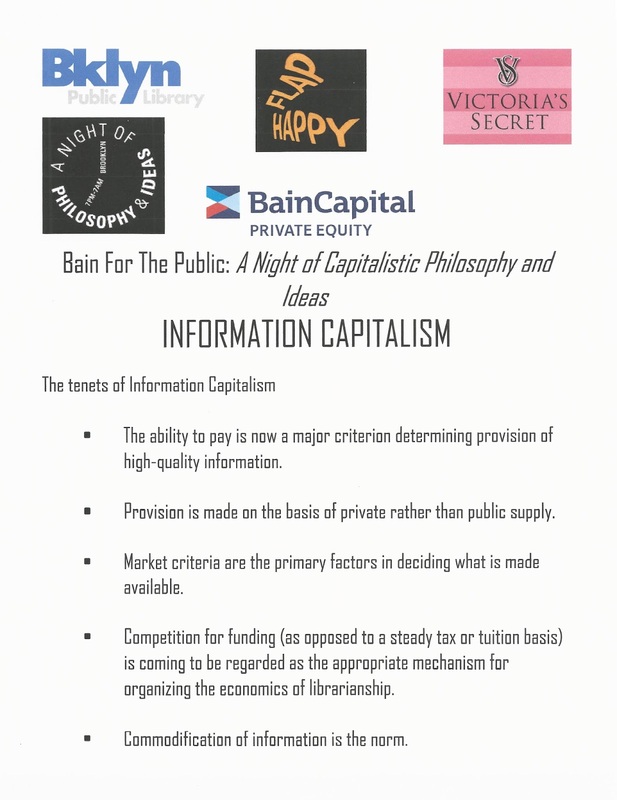 The Rompers will have the Bain Capital Logo embroidered above a (not so vintage?) Romney presidential campaign buttons. Bain is also partnering in the event and Flap Happy is one of the companies, now manufacturing in China, that has been through a Bain restructuring that stripped out excess value. Anyone who accepts what they are doing to the libraries by turning them into real estate deals and eliminating books with space conversions is getting `booby prizes.’ It’s unacceptable. My father was Democrat and nobody is going to allow his name to be wrapped around a bunch of Romney Romping Rooms named after a Republican looking to fleece the public. Now that the BPL has announced the intention to use my father’s name they’ve booby-trapped this for themselves because come time to cut ceremonial ribbons we will call them out on this. We fought Atlantic Yards and we fought Bruce Ratner. We know that the first two most valuable libraries the BPL wanted to sell, Pacific and Brooklyn Heights were both adjacent to Ratner’s Forest City sites. We know that the person who prioritized those libraries for the BPL’s sale came from Forest City Ratner. We are not going along with any of this cover-up. 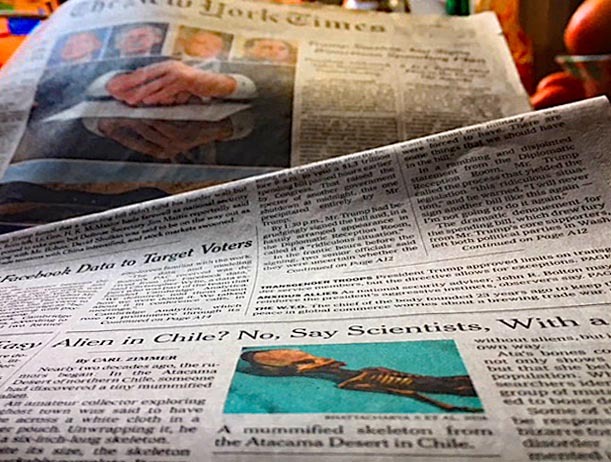 So why did the Times begin its article about what the modernization of a library by recounting a dream about librarian-seeking aliens and robots? Why were “Robots” referred to in the Times headline for the article? But to be fair, there is real talk about using library `Romping’ spaces for various sorts of robots to roam. 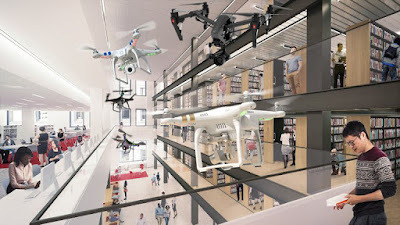 Architect Francine Houben, working for the NYPL, has suggested that the new central atrium of the soon to be renovated Mid-Manhattan Library will be an excellent place to test fly robotic drones before procuring a license to fly them outside, especially if sight lines are improved by the oft suggested removal of bookstacks. Such robot drone flying includes test flying swarms of new nano-robotic bees. New Mid-Manhattan atrium space- According to architect Architect Francine Houben a perfect place to fly drones, even better if the book stacks are removed as suggested. But why aliens? Does it seem creepy that everyone these days is suddenly always bringing up extraterrestrial aliens? Fox News, New York Magazine, Saturday Night Live, even on the front page of the New York Times? Is everyone having the same dream? Like in “Close Encounters of the Third Kind”? Here is the creepy thing. The NYPL is selling the biggest science library in New York City (SIBL, the Science, Industry and Business Library) to the son of a librarian, a man who became wealthy beyond belief through his knowledge of science. The man leads a life like he is hell-bent desperate to be written into a James Bond novel, a feet of the world’s largest yachts, a fleet of vintage warplanes, building the largest airplane in the world, building a plane to go into space. His name is Paul Allen. Mr. Allen also had a sci-fi sort of dream that could relate to what a landing alien in the future might find if they land: A dying or threatened civilization that can only save itself t it can find the trove of knowledge it needs. 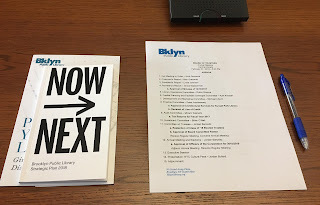 Something more that is true: At the last Brooklyn Public Library trustees meeting on February 27, 2018, where trustees were given copies of the NYPL's the BPL's updated "strategic plan", the creatively titled (but hard to type) "Now➔ Next." 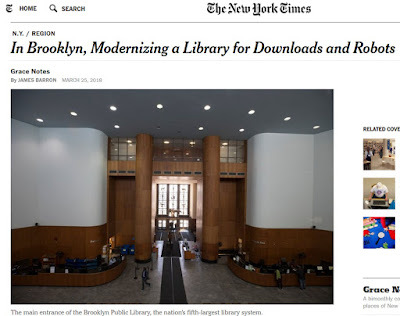 At the same time, the trustees were told that a substantial portion of the Grand Army Plaza, Brooklyn’s biggest library would be closed for a long while the library is “modernized” and, as described by the Times, its stacks eliminated. What’s more, as was clear with what else the trustees were told the meeting there will be other libraries concurrently off-line: The central downtown Brooklyn Heights Library, once Brooklyn’s second biggest library and the only other central destination library is closed and now a hole in the ground as it is substantially shrunk, pushed more underground and its books largely eliminated as it is replaced by a supertall luxury tower (its Business, Career and Education Library has virtually disappeared), the Sunset Park Library will be shut down as it becomes a real estate project, construction will similarly put the Brower Park Library into the Children’s museum in another consolidating shrinkage, the Greenpoint Library too is getting `modernizing' construction. Creation of a DUMBO library as an experiment in teeny-weenyness was supposed to pick up some slack, but the trustees were told they haven't yet found the teeny-weeny space for it. This will be as Mid-Manhattan the city’s largest circulating library is closed for book-eliminating “modernization,” the 42nd Street Central Library where books have been eliminated undergoes work and, as mentioned, SIBL, the city’s largest science library is sold to Mr. Allen, its science library eliminated. In today’s day and age of the internet, the inconvenience of temporarily closed libraries matters less and we’ve steadily removed a lot of the books from the shelves ahead of time in tests that proved our conclusion about this to be true. These extended concurrent closures of library space will also help people forget what libraries were in the past while letting them get used to not having libraries in the present so that in the 21st Century future people won’t even know what they are missing when we reopen our doors of those spaces we have, for the time being, still kept, to experience our fabulous Romney Romping Rooms. Besides, in the interim, we are partnering to send our library patrons off to city museums with a new “One-Pass” or "NYC culture Pass" Museum visit program. This is great because Museums are themselves partnering with profit making partners seeking attention with sensational blockbuster shows. Moreover, in the future, for greater efficiency and cost reduction we may further meld our infotainment institutions, so who knows what we will then be asking people to get used to or to do without. 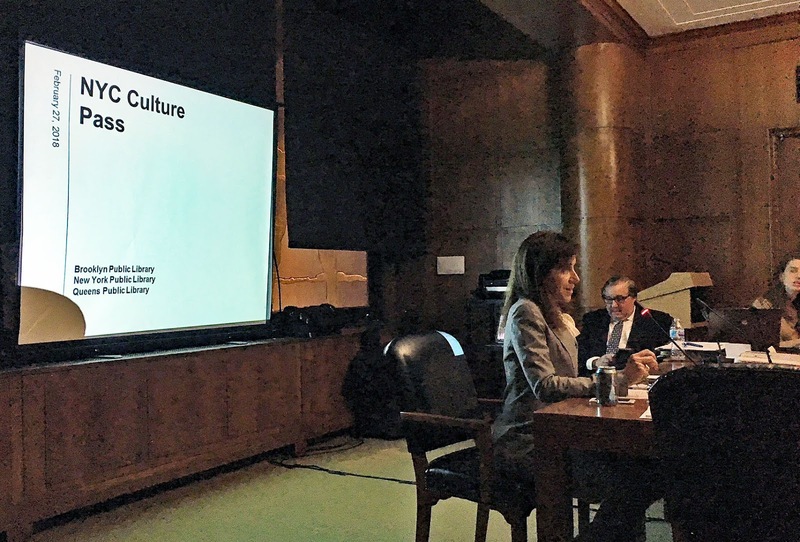 For real: Linda John before the BPL trustees on February 27th ad they are told about a "culture pass" to send patrons to museums.